It's Independence Day – How Is Your Life Changing? 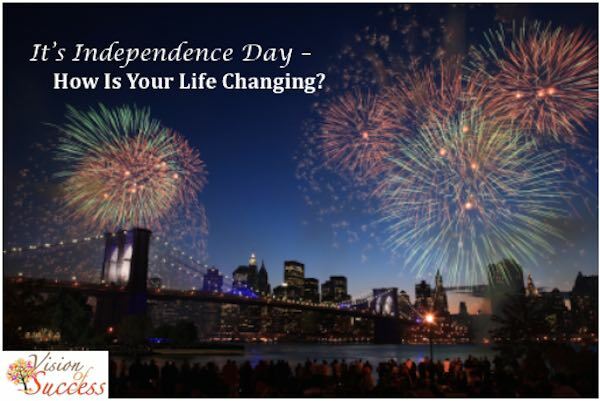 It’s Independence Day – How Is Your Life Changing? One of my favorite holidays here in the US is Independence Day – the Fourth of July. I’m a summer person. I love the hot weather. I love hiking. I love spending time by the ocean, river or pool. I love ice cream (although ever since Italy, I’m more of a gelato person … it’s great, right?) And of course I love the glorious fireworks that culminate the day. Nothing brings out emotions more than watching brightly colored fireworks flash across the sky, with your favorite tunes in the background reaffirming how grand life really is. I was working with a client recently and we had a discussion about the concept of independence. And it made me think about what independence really means in our own lives. The concept of independence means that we are free from the control, influence, support, guidance, or the like, of others. Yet freedom is a relative condition. By living and doing one thing, you may have to live within the constraints of what that lifestyle has to offer. Freedom in one area can mean you need reliance in others. For example, independence from a 9 to 5 job can make you reliant on working 24/7 as an entrepreneur. Independence from a mortgage can leave you at the mercy of a landlord, both in terms of how much she will charge and how much change you can bring to your living arrangements. When I started craving a life different from what I was living, I knew things had to change. 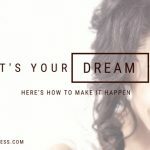 But for me, the first step in making a change meant realizing there were some things I would have to give up in order to meet my ever-growing desires. Independence is a relative term; gaining control over certain aspects means releasing control in other areas. Gaining support over certain qualities of your life means letting other supporting factors disappear altogether. The more you recognize what you want, the more you can feel comfortable releasing what no longer works. Here’s what I found. Life balance is the way you live your 24 hours of the day. It’s the ability to fit in everything that is important to you within that timeframe. It’s about finding the time to do all that you desire. When I was 28, I lost my 54 year old dad to a massive heart attack. That changed me forever. And while many people my age became obsessed with the pursuit of building wealth and advancing their careers, I became obsessed with life balance. I was no longer willing to do any one thing that would put another portion of my life at risk. Because what is the point of having a lot of money in the bank if you never make it to your end goal – retirement – to enjoy it? Fifty-four is a powerful age for me. The closer it gets, the more in-tune I become with maintaining a health lifestyle. If I don’t enjoy what I’m doing, I quit. If I don’t enjoy working with a client, I refer them to someone who may. If I have an idea that brings me joy, I pursue it. While I’m not perfect at it by any means, I am getting better at recognizing things that add to my well-being. Money can come from anywhere in a variety of sources. Once you lose your health, its difficult to gain it back. I’ve chosen to put my focus on living every day as if I reached the age of 100, and it’s allowed me to achieve the best health I’ve ever had. 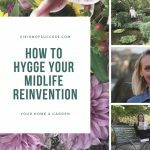 Sure, we all wish we could feel like we’re 29 forever, but why not do something about it to maintain that feeling for as long as possible. By choosing life balance freedom, I’ve had the opportunity to do many things in many ways. If something doesn’t work, I change it. The constraints come from the risk of doing it always on my own. While I consider life balance to be more about the way I live, I consider lifestyle to be the things I have. My house. My car. My clothes. My accessories. My furnishings. The restaurants I eat at. The entertainment I participate in. The vacations I take. The things I live with every day. Years ago, when we purchased our family home in suburbia, I wanted the best school system, the right neighborhood, the right opportunity – if you own a house, you get it. But that came with a price. A big house meant lots of maintenance. The fact that it sat on a quarter acre lot meant lots of yardwork. I had the ability to create a home I was proud of. I painted the rooms. I remodeled the bathroom. I pulled apart a crumbling deck to build a stone patio in its place. I had the freedom to do what I chose to do to every room in the home. I didn’t have to worry about increasing home prices – my interest rate and monthly payment were locked in for 30 years. Until my focus changed. The freedom I originally saw by owning a home changed when it held me back from doing what I wanted to do. When I wanted to spend six weeks in Europe, I knew it was impossible with the yardwork required for my gardens. A mortgage tied me into one location for 30 years of my life. And when my desire grew to wanting to explore and travel, that became a huge constraint. When I chose to change my lifestyle, it meant giving up a variety of things that were considered to be “the norm”. But “the norm” is only normal if you are influenced by those that make it “the norm”. 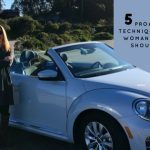 By redefining what I wanted in life, I quickly saw new opportunities all around me. I discovered more people living the way I was choosing to live. And it gave me all the inspiration I needed to create change. Relationships are important to our well being. They can include family or friends. It can include people we live with, or those who are far away. They can include people we hang out with every day, or those we’ve never met, but talk with all the time in the online world. They help us become who we are. It’s our relationships with family and friends that guide us through life, helping us make choices along the way. Or is it influence instead? What if a family member expects you to act a certain way because you always have? What happens when you change? What if you’ve had dinner with a friend every Friday night for years … until something else becomes a bigger priority? Change hurts. Change can be a crushing experience. Which is why we often remain silent and do the same things over and over, avoiding the inevitable that comes with change. When you decide to let one relationship go, another one has the opportunity to grow. By releasing yourself from the influence of one, it gives you the energy to commit to another. It easily defined my work time from my playtime. When I walked out of the door at 5 o’clock, I didn’t think about my job until I entered it once again. But as many much freedom as a corporate job brought to my life, it brought an equal amount of constraints as well. Is there a right or wrong choice? Nope. Independence arises from understanding the implications of what you’re doing. Do the benefits outweigh the risks? If a regular paycheck is important, realize it can disappear in a heartbeat. If your desire for a flexible work life is important, realize being an entrepreneur can require working 7 days of the week. Happy Fourth of July! And no matter where you live in the world, spend some time thinking about your own Independence day this weekend, and create a life you will love living!